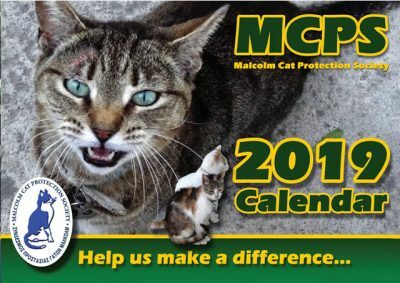 Decembers Edition of "Your Cat"
Marie & Andros from Nicosia have supported the MCPS for the past 2 years. They run a Music shop called K & A Musical Instruments Ltd.
Maria & Andros have kindly sold MCPS calendars, mousemats & collected dontions on the MCPS behalf & still continue to do so. They both love cats & have sent stories & photos to "Your Cat" magazine. The photos of their cats Gizmo & Nells are featured in the December issue which is available now to buy. Marie has kindly donated her prize of cat treats to the MCPS. Sadly before the issue of "Your Cat" was released Gizmo was taken ill & sadly was lost to liver problems. Our thoughts are with you Marie & Andros at this sad time. Marie & Andros send a special thanks to Dr’s at the Ayios Modestos Clinic in Nicosia, Dr Constantinos Constantinou and Dr Zenonas Hadji Zenonas. They made a very difficult and painful time, bearable, and they will always be grateful. 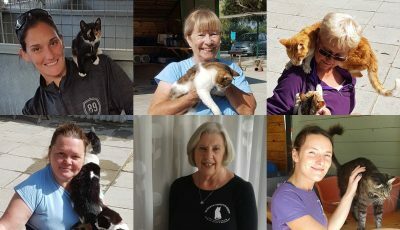 Thankyou both for your continued support to the cat sanctuary.